Our mission is to provide the best possible compassionate care for companion animals, avian and exotic pets of the Chippewa Valley. We are committed to promoting responsible pet ownership through client education. Wellness programs keep your pet happy and healthy. Our state of the art equipment allows us to perform the best life-preserving and life-saving procedures to our patients. Our veterinarians have special interests in ultrasound, alternative therapy, acupuncture, orthopedics, ophthalmology and oncology. Northside Pet Hospital has a family atmosphere that is relaxed and inviting. We consider our clients and patients as friends, and feel fortunate to grow with you through the oncoming years. Our staff prides themselves on making your visits here to Northside Pet Hospital a positive and educational experience. Dr. David Menard opened the veterinary clinic in 1987 in a 600sq ft office with a small amount of used equipment, and some big dreams. 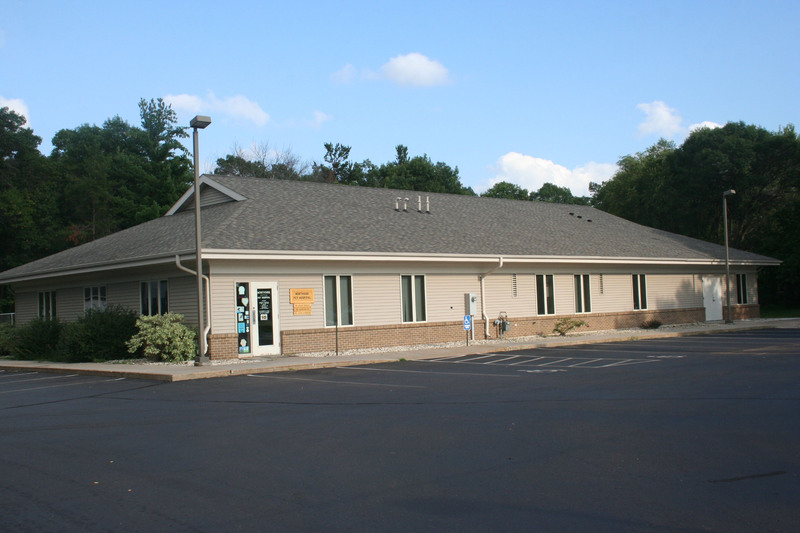 In 1990, Northside Pet Hospital moved into a remodeled, much larger building (in front of our current building). On May 2, 2003 we moved into our new/current building, and in March 2006 we completed our addition. This dream has been made possible thanks to our clients and patients.